Outgoing Expedia chief executive Dara Khosrowshahi is a good person to try to make Uber's workplace a better place for women to work. Uber board selected Khosrowshahi on Sunday to replace Uber founder Travis Kalanick, who resigned from his CEO duties in June. Uber has been in the spotlight for its toxic culture after a former engineer, Susan Fowler, went public with allegations of sexism and harassment at the company. Her allegations led to a months-long internal investigation, and a purge of top execs. 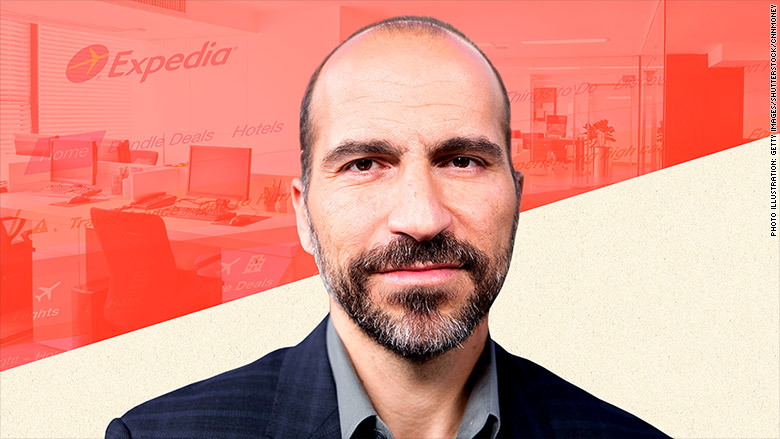 Expedia (EXPE), which Khosrowshahi has led for 12 years, has a very different reputation: It has been lauded for its workplace. Expedia announced in 2016 it had achieved gender parity, meaning men and women are paid equally in equivalent roles. This year, the company reported 50% of its U.S. employees are women, better than the national rate (47%). In addition, 25% of Expedia's computer and math roles are held by women. At Uber, just 15% of its technical workforce are women, according to its first diversity report released in March. That's the same number as Twitter but smaller than Facebook (17%) and Slack (24%). Meanwhile, 22% of Uber leadership roles are held by women. But Expedia reports women make up 35% of its leadership roles. 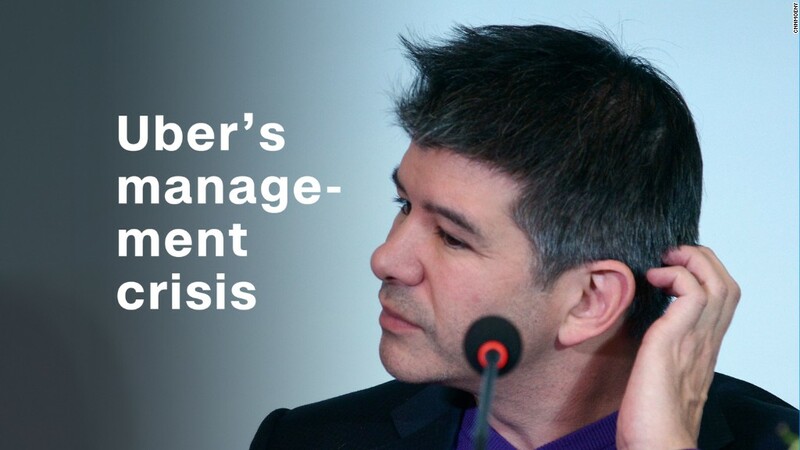 (Uber defines leadership as director-level or above; Expedia more broadly defines it as manager-level or above). Overall, Uber had about 12,000 employees when it released its diversity report; Expedia had 20,000 at the end of last year. On pay equity, Uber last month adjusted salaries to ensure its employees are fairly compensated, regardless of gender or race. The move came after the departure of Kalanick. Under Khosrowshahi's leadership, Expedia was among the companies that signed the White House's Equal Pay Pledge in 2016, agreeing to review their hiring and promotion processes to address any inequities. Expedia has been experimenting with efforts like blind resume reviews -- where the name of a candidate is removed -- to see if it impacts hiring. Diversity advocates say the CEO sets the tone and priorities in fostering a company's work culture. Freada Kapor Klein, a leader in championing the diversity push in tech, previously told CNN Tech that "there's no substitute for unequivocal CEOs at every company." Kapor Klein, an early investor in Uber, has critiqued Kalanick and Uber over workplace cultural issues. Advocate Elizabeth Ames, senior vice president at the Anita Borg Institute, told CNN Tech the gender of a CEO matters less than his or her commitments. The institute puts on the annual Grace Hopper Conference for women in computing and cut ties with Uber in May. "It's about talent acquisition, talent management, retention, and the overall workforce -- those are CEO issues whether you're male or female," said Ames, citing leaders like Salesforce's Marc Benioff and GoDaddy's Blake Irving as examples. Khosrowshahi told Bloomberg Tuesday that a lack of diversity of all kinds is "definitely a problem" in tech. "You look at the problem and solve it one step at a time," Khosrowshahi said. "You solve it by first recognizing it and then working it. It requires real candor and real honesty."